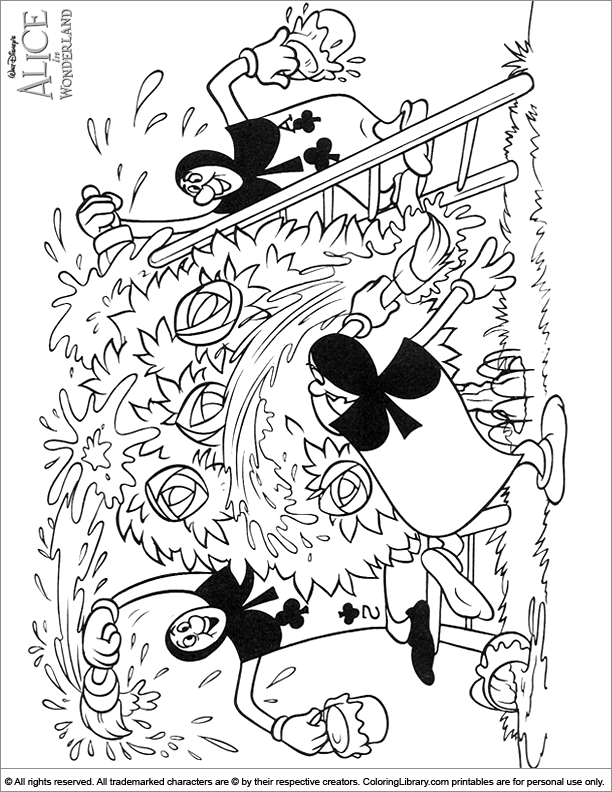 You will love getting creative with this Alice in Wonderland color page for kids. Print it and get out your colorful markers, pencils, paint and crayons, they are a great way to decorate your coloring pictures. Teach your child how to use coloring pencils en name the colors with the many Alice in Wonderland color pages for kids you will find in our library. We have collected some of the best cartoon coloring pages for you.